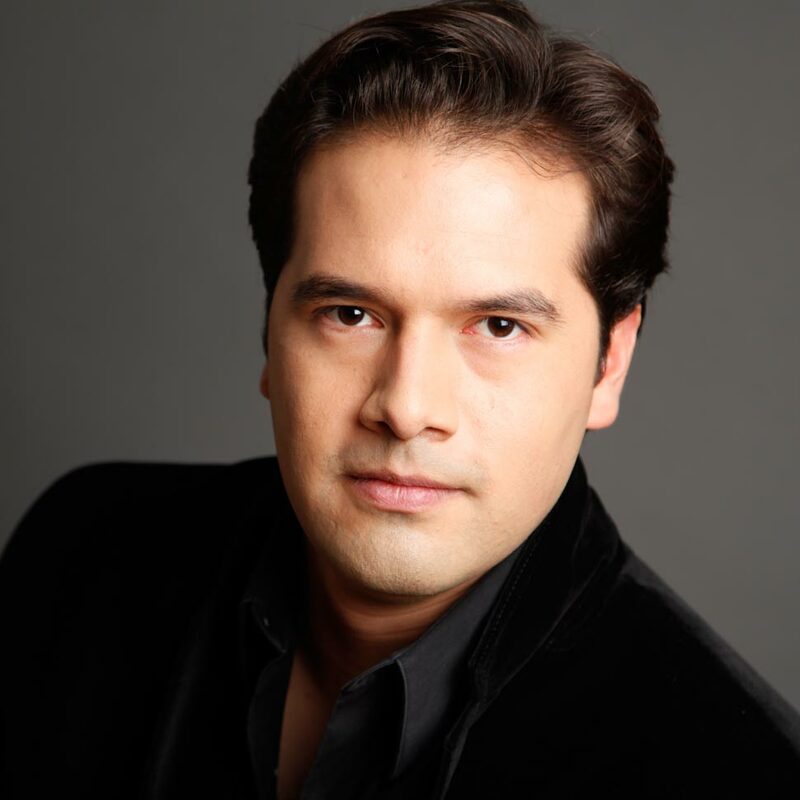 American opera fans know Mr. Trevino for work on productions of Don Giovanni and A Quiet Place at the New York City Opera as well as for his performances in VOX: American Opera Series where he worked on the world premieres of five new operas. In summer 2011, Mr. Trevino was selected by James Levine to be the Seiji Ozawa Conducting Fellow at the Tanglewood Music Festival, where he led Mark Morris’ production of Milhaud’s Trios Operas Minutes. Early in his career, Mr. Trevino spent a month with the Helsinki Philharmonic as a Conductor-in-Residence, at the invitation of Music Director Leif Segerstam, assisting on the complete cycle of Sibelius symphonies. His mentors also include David Zinman, Michael Tilson Thomas and Louis Langree, with whom he has been working closely during his tenure as Associate Conductor of the Cincinnati Symphony Orchestra. Last year Robert Trevino became the Principal Conductor of the Shippensburg Music Festival where his recent performance of Beethoven’s “Fidelio” was met with particular acclaim. The late Rafael Fruhbeck de Burgos was a great influence and Mr Trevino is proud to lead the New Year’s Broadcast with the Danish Radio Symphony in a tribute to his mentor. In May 2014, Mr. Trevino inaugurated the new hall, Opera di Firenze of the Maggio Musicale Fiorentino, making his highly anticipated Italian debut with Orchestre Philharmonique de Monte Carlo with whom he tours Europe and Japan. His relationship with this ensemble began only a month earlier with a late-hour substitution of Mahler Symphony No. 5. Mr. Trevino was invited to lead the Orchestra in their performances at the Maggio Musicale and the International Rostropovich Festival in Baku, and to return again over the next two seasons. Mr. Trevino's recent appearances at two of France’s top music festivals, La Folle Journee and La Roque D’Antheron, also resulted in immediate reengagements and a feature on the Arte Channel as well as broadcasts on France Musique and Radio France. Mr. Trevino's immediate plans include debuts with the Bamberg Symphony (with a concert performance of Lohengrin), National Philharmonic of Russia, NHK Symphony, London Philharmonic, Danish Radio Symphony, Netherlands Radio Philharmonic (at the Amsterdam Concertgebouw), Dresden and the Munich Philharmonic Orchestras. In early 2015, Trevino was proud to be nominated for a Golden Mask Award in recognition of his outstanding work at the Bolshoi Opera. He made his US subscription debut with the Detroit Symphony Orchestra in January 2015. An avid advocate and performer of contemporary music, Mr. Trevino has commissioned, premiered, and worked closely with many leading composers of today such as: Augusta Read Thomas, Jennifer Higdon, Charles Wuorinen, Bernard Rands, Shulamit Ran, George Walker, David Felder, and John Zorn among others. He has been the recipient of numerous grants and awards from the Foundation for Contemporary Art, Gene Gutche Foundation, and the Renaissance Society at the University of Chicago.